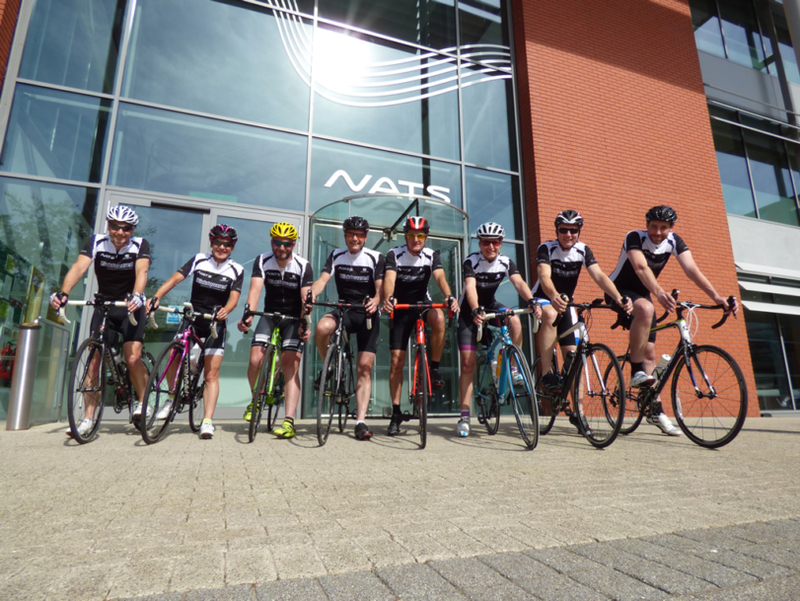 A team from NATS Information Solutions (IS) department will be swapping life at the office to pedal 500 miles in five days in aid of charity. Twelve NATS employees will cycle from the air traffic control centre in Swanwick, Hampshire, to the Prestwick Centre, Ayrshire, in a bid to raise £6,000 for the NATS nominated charities – £2,000 for each the British Heart Foundation, Ayrshire Hospice and the Fareham Food Bank. The amateur cyclists will take to the roads on 31 July assisted by a support team of four. Gavin Walker, Chief Information Officer NATS, said: “Each year we’re always keen to give back to our local community and this is going to be our biggest challenge yet! The team will be recording their journey on their Facebook and Twitter accounts. They have previously taken part in a Tough Mudder challenge, a sponsored rowing challenge, bake sales, and the Great South Run. NATS as a whole has raised hundreds of thousands of pounds for a number of charities over the years through various fundraising efforts. Through the Footprint Fund (NATS’ Corporate Responsibility Fund), which was launched in 2008, NATS has donated almost £200,000 to more than 300 charities. Last year, the Footprint Fund donated £31,000 to 53 local causes. While 8% of NATS staff made ‘Give As You Earn’ donations using the company payroll giving scheme, donating £133,500 to the charities they care about last year.